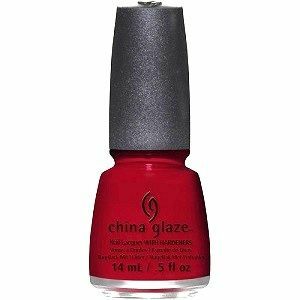 China Glaze Nail Polish, Tip Your Hat, 1347, .50 fl. oz. Vivid classic red creme nail color. China Glaze Twinkle Holiday Collection.